My friend, Dave, and I have been riding for a while and know and use all the standard hand signals. Hand signals only work if the other person sees them, though, and sometimes - like when you’re in an unfamiliar place - you may be paying closer attention to the road and traffic around you than to your riding buddies. That’s when having the best motorcycle helmet speakers really pays off. 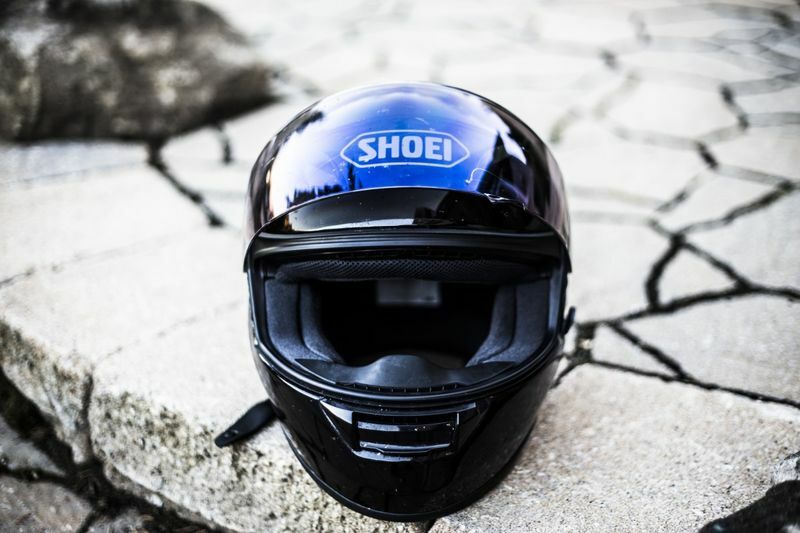 Motorcycle headsets have come a long way in the past few years, and in this article I’ll review my top five picks for the best bluetooth motorcycle helmet speakers available today. With Cardo's DMC® technology, individuals or groups within the larger group can split off and the connection is maintained as long as all riders are within range. 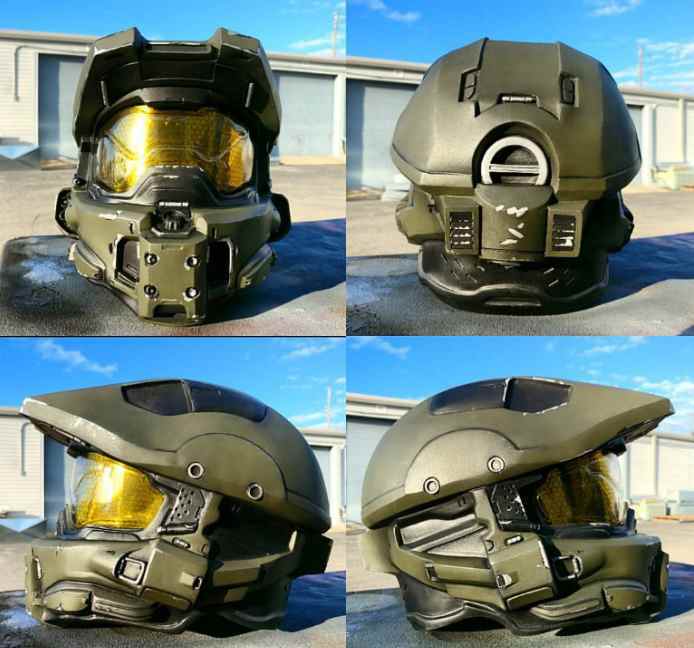 Do I Really Need Helmet Speakers? 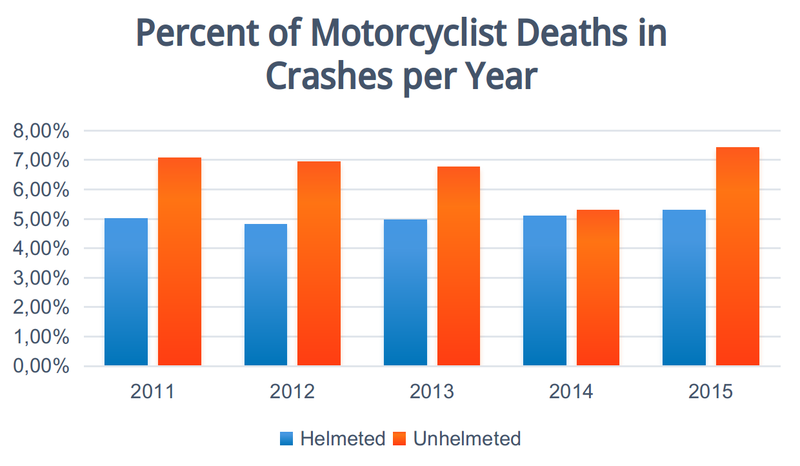 You might be asking why you need yet another gadget for your riding pleasure/safety. Do you really need them? Well, perhaps not, but I can tell you that they will make your riding life much safer and more enjoyable, especially if you ride with others. The ability to easily communicate with a passenger or other riders in your group makes riding safer and more enjoyable. Being able to listen to your favorite music makes those really long rides even better. And having directions piped directly into your helmet means you’re not likely to ever miss another turn. The best answer to that question is based on those factors that are most important to you, such as the number of bikers you typically ride with, how far apart you ride, and whether you’re interested in listening to music or receiving directions via GPS. Today’s better headsets are weather-resistant at the very least, and allow for simple setup, hands-free inward- and outward-bound calls, several hours of use between charges, and connections between three or more riders. 6) has a range of at least a half mile (~800 meters). There is some debate over whether getting an all inclusive bluetooth motorcycle helmet, or just the speakers is the right move to make. A bluetooth helmet is an easy to use, all-in-one solution to your problems, whereas the versatility of a separate pair of speakers allows you to gain the functionality of a bluetooth helmet, on your favorite pair. The Cardo Scala Rider PACKTALK Bluetooth 4.1 headset meets or exceeds all of my selection criteria. It has up to thirteen hours of talk time, is waterproof and dustproof, and utilizes universal pairing which allows intercom conversations with non-Cardo headsets. Its greatest selling point, however, is something Cardo calls Dynamic Meshwork Communication® technology. 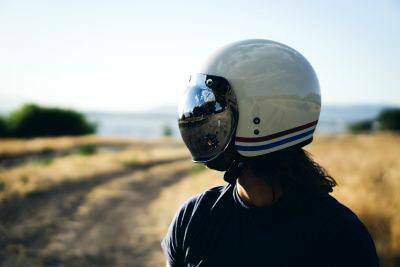 This feature connects up to fifteen riders over up to five miles in what Cardo refers to as a “meshwork.” Most motorcycle helmet headsets connect riders by daisy-chaining one to another. If a person lags behind, everyone from that rider back is disconnected. With Cardo’s DMC® technology, individuals or groups within the larger group can split off or even take a different route, and the connection is maintained as long as all riders are within range. If any riders should pass out of range, they are automatically re-connected when they return without any negative impact on the rest of the group. This feature would have prevented Dave and I from getting completely separated when we were split up by bad traffic and he accidentally took the wrong exit. Fodsports' Pro6 Riders headset uses an older bluetooth standard (3.0), but is still a great headset for the money. Fodsports’ Pro6 Rider provides a full duplex intercom connection (source) between up to six riders within just under three quarters of a mile with the typical daisy-chain system. The headset is water resistant only, not waterproof, but Fodsports claims that it functions perfectly well under all weather conditions. As with the other headsets in this review, the Pro6 Riders headset supports wireless music streaming and hands-free calls. One nice feature is the headset’s built-in audio socket which allows a rider to connect the intercom directly to a phone, tablet, GPS, or other device via an audio cable. When connected this way, the Pro6 offers significantly better audio quality than you’ll get from any current bluetooth connection (source), and audio quality is further improved by Fodsports’ use of DSP noise suppression technology (source). Both music and talk time are around eight hours after a two-hour charge. The FreedConn T-COMVB headset is an inexpensive option if you are willing to accept a truly bare-bones product with limited distance and rider connectability. The FreedConn T-COMVB bluetooth motorcycle helmet headset comes highly rated and is the least expensive option in this list. Cost, however, is really the only area where this headset stands out (and even then, it’s not that much less expensive than the Fodsports Pro6 which is a better headset overall). Like Fodsports’ Pro6, this FreedConn headset uses Bluetooth 3.0, so sound quality isn’t great, but it also uses DSP noise suppression technology which reduces wind and ambient noise. The T-COMVB headset offers the shortest range (just under a half mile) of any of the headsets reviewed in this article, and it can pair up to only three riders--and only two on intercom. It does offer easy installation and operation and is waterproof so, if the majority of your rides will be with the same one or two people and you’re on a really tight budget you may want to consider this headset. The Sena SMH10-11 headset, while slightly outdated, is a solid mid-range option in terms of both cost and function. Sena’s SMH10-11 bluetooth headset is a bit outdated, using Bluetooth 3.0 instead of 4.1, but it offers enough higher-end features so you don’t feel as though you’re paying for the name only. 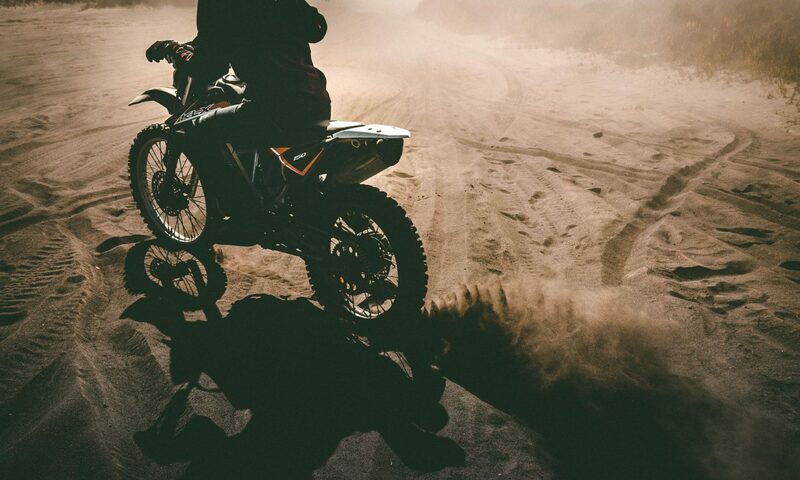 While its range is limited to a little over a half mile, the headset does allow riders to participate in a four-way intercom conversation and Sena’s Advanced Noise Control technology significantly reduces background noise. The SMH10-11 uses Universal IntercomTM protocol allowing you to connect with other headsets regardless of brand. Sena is well-known for its user interface and ease of use, and the jog dial on this headset is an excellent example. The large jog dial allows you to quickly and easily navigate through the headset’s many features with a gloved hand. I especially like the music playback control feature which allows you to play, pause, and track backward and forward depending on how long you depress the integrated jog dial button. And you’re not likely to get stranded on a day-long ride, as the SMH10-11 battery offers up to twelve hours of talk time. The Sena 20S-01 headset has an intuitive user interface accessed via a simple jog dial, and can also be controlled hands-free with voice commands. 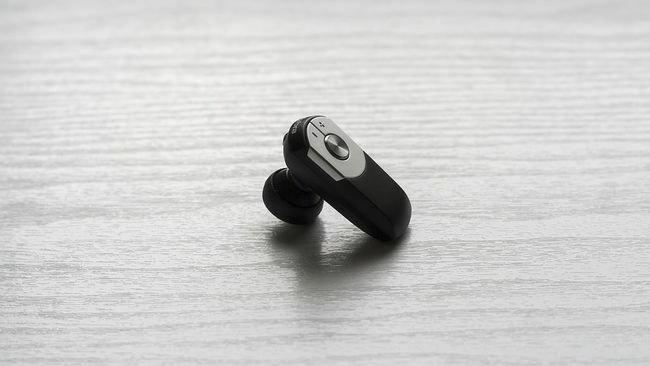 The Sena 20S-01 Bluetooth 4.1 motorcycle headset allows you to connect with up to eight other riders and has a range of up to 1.2 miles. If a rider goes out of range, he is automatically re-connected once back in range. I think the 20S-01 has the best user interface of the five headsets I’ve reviewed. It uses a jog dial similar to that on the SMH10-11 and is just as easy to use, while offering additional features. The headset can also be controlled with hands-free voice commands. Sena claims its Advanced Noise Control blocks ambient noise and ensures HD quality audio, and this headset may very well offer the best sound quality of the bunch. Universal IntercomTM protocol allows you to pair this device with bluetooth headsets from other brands, and an odd--but convenient--feature allows you to pair devices by simply shaking the headset near other bluetooth headsets. Each of these headsets would satisfy the basic needs of anyone looking for a way to listen to music and GPS instructions, communicate with at least one other rider, and make hands-free calls (when linked to a cell phone). One product stands out for me, however, because of its advanced connectivity and superior range. In my opinion, the best motorcycle helmet speakers are the Cardo Scala Rider Packtalk. 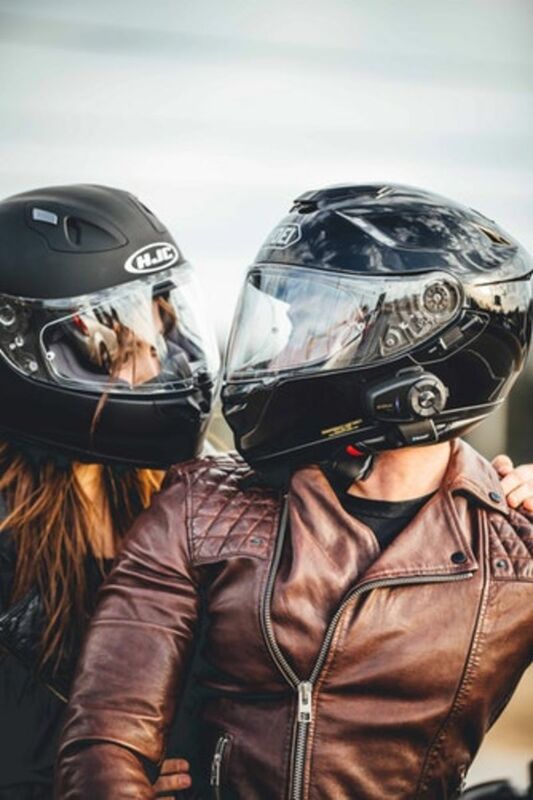 It has the best bluetooth motorcycle helmet speakers available, and its proprietary Dynamic Meshwork Communication® technology sets it apart from the rest by linking up to fifteen riders over a range of up to five miles.